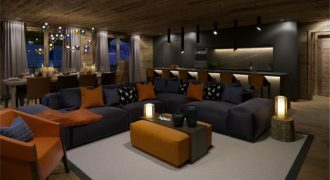 Ideally situated opposite the Nendaz outdoor skating rink and the Hotel Nendaz 4 Valleys and Spa, the prestige residence The H4VEN Nendaz offers you a luxury retreat via 9 apartments for sale in the very heart of Nendaz and the 4 Valleys ski area. Invest in Nendaz with our latest project The H4VEN. 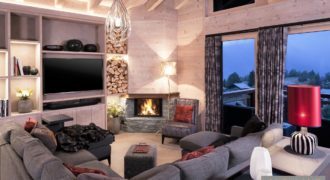 All the apartment for sale boast a view onto the piste and is positioned opposite the cable car, in the vicinity of all shops and restaurants. 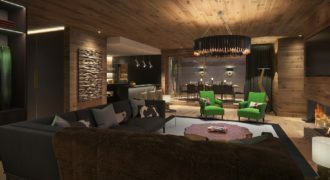 If you are looking for a luxury apartment for sale in Nendaz -a second home / ski apartment-; this is one of the very last projects available in the heart of the resort with sale permits for Swiss resident and international buyers. At the heart of the 4 valleys and with 300 days of sunshine per year, Nendaz offers world-class skiing with 412 km of ski piste with nearly 100 lifts connecting ski-runs to 6 resorts. It is an exceptional ski area, a natural reserve of snow and beauty together they provide a network of trails for any type of snow sport. While this resort is a true paradise for winter sports, its summer options are just as appealing, offering endless discoveries and more than 50-year round activities. To complement this there are 36 restaurants, ice rink, 2 spas (10 within an hour), swimming pool and up to 12 golf courses within 75 minutes drive. Nendaz is also a leader in the Swiss summer camps market, capitalizing on the current European drive for healthy living and anti-obesity programs particularly concerning children. Nendaz is also the closest resort to Sion airport. The resort has Q111 Swiss Tourisme labelling (highest possible) as well as ISO 9001 quality, ISO 14001 environment, Family destination and Valais Excellence classification making it an idyllic resort to invest in mountain real estate.